Tensions ran high at the southern Israeli Negev prison Thursday as Israeli ‘suppression forces’ stormed and searched prisoners and their belongings in section 1. 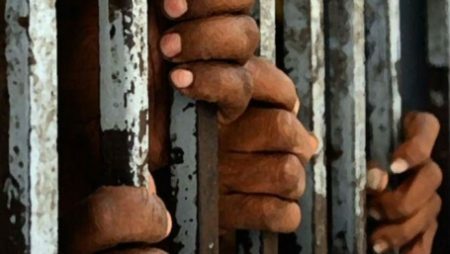 According to The Palestinian Prisoners and Former Prisoners’ Affairs committee, the suppression forces assaulted and moved one prisoner to an undisclosed location, after the prisoner allegedly threw hot water at an Israeli guard. The entire section 1 was closed off and prisoners were relocated to other sections of the prison, there was no mention of the condition of the assaulted prisoner. On February 19, 2019 the Israeli Prison Services (IPS) seized the electronic devices of all prisoners in section 1, as punishment for protesting the jamming devices installed by the IPS. In related news, Israeli soldiers attacked hundreds of Palestinian prisoners at the Negev Prison on March 24, 2019 after 2 Israeli soldiers were said to have been stabbed by a prisoner.